By building bridges between students and professionals in psychology and/or law throughout the world, EAPL-S hopes to support the students of today and the scientific community of tomorrow. If you are a motivated student in any field related to Psychology and Law, join us today! 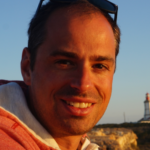 NEWS: The EAPL-S board is very happy to announce that this year, there will be a pre-conference workshop in advance of the EAPL19 in Santiago, Spain! 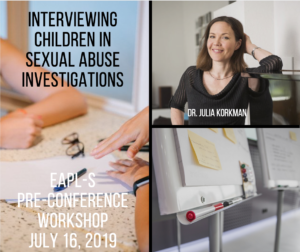 It will be held by Dr. Julia Korkman who is an expert in the area of investigative interviewing and evidence-based assessments of child abuse allegations. During the workshop, Julia will talk about children’s memory functioning and its implications for interviews. Then, based on case examples from her work in the field, she will talk about true and false sexual abuse allegations. Finally, we will discuss interview techniques and do some exercises to put it all into practice.